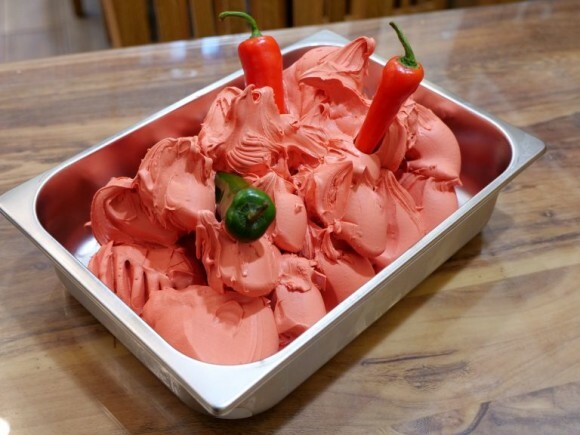 It might be cold outside but our brand new limited edition “Respiro Del Diavolo” will be sure to warm you up with just one spoonful. 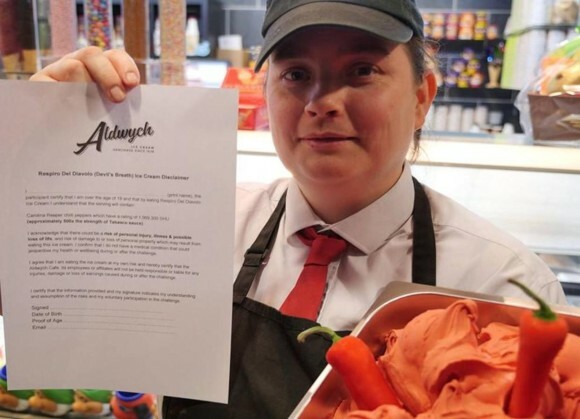 Handmade in our Cardonald Ice Cream Parlor with great caution this ice cream is so hot that you must be 18 years old and sign a disclaimer before we can hand it over. Coming in at 1,569,300 on the SHU scale the chilli’s used to make Respiro Del Diavolo are 500 times hotter than Tabasco sauce making even the hottest vindaloo seem like baby food! If you think you can take the heat or want to treat someone you love with a special surprise get in the car and come on over before it’s all gone..